Developing and maintaining a disciplined management system provides any organization with a blueprint for exceptional performance and success. Indeed, for larger multinational corporations, a management system is a critical component for sustainable growth and performance management. 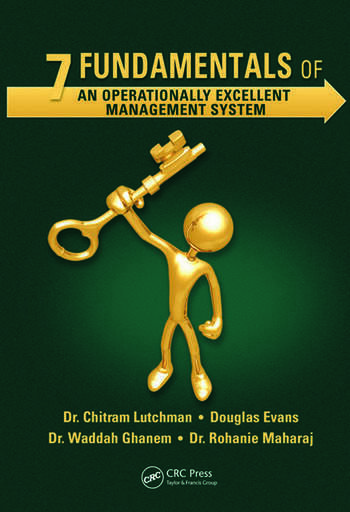 In this book, the authors discuss a series of fundamentals for creating an operationally excellent management system (OEMS). The book also examines the business performance impact of an OEMS across leading gas and oil organizations, such as Exxon Mobil, BP, Suncor, and Chevron. In 7 Fundamentals of an Operationally Excellent Management System, the authors discuss each fundamental in detail and provide the supporting training and workshop materials that are essential for integrating these fundamentals into the business processes of the organization. The seven fundamentals identified by the authors provide a sequential approach for developing and executing an OEMS across any organization. 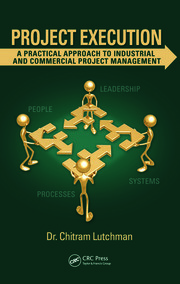 Integrating sound organizational and business practices with personnel and process safety management principles, the book is an invaluable resource for organizations seeking operational discipline and excellence. 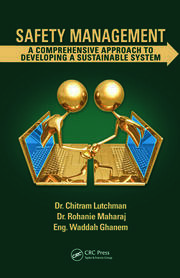 Well-supported with graphics and practical examples, the book provides a simple pathway for an organization to evolve its management system into an OEMS designed to reduce workplace incidents and improve business performance on a sustainable basis. The management system principles discussed in the book are intended for the business leader who is motivated to transition his or her organization from ordinary, through best in class, to an organization of world-class stature and performance. Are We Unable to Learn? General Manager Technical Services, Suncor Energy Inc.
Dr. Chitram (Chit) Lutchman (Principal Author) – DBA—Doctor of Business Administration, MBA, Certified Safety Specialist (CSP), Canadian Registered Safety Professional (CRSP), 1st Class Power Engineer, BSc Agriculture Sciences. Chit Lutchman, a 2011 recipient of the prestigious McMaster Arch Award for unique and exceptional contributions to Canada, is an experienced safety professional with extensive frontline and leadership experience in the energy industry. Having sustained some disability from an industrial work accident, Dr. Lutchman developed a passion for improving health and safety in the workplace. With international oil and gas experience, he has experienced the two extremes of organizational health and safety practices and business performance. As a prior employee of Suncor Energy Inc., (Canada’s largest oil and gas producer), he pioneered work within his organization aimed at improving contractor health and safety management. In prior roles, Dr. Lutchman has functioned as a corporate leader in loss management and emergency response. He also functioned in project management leadership roles in the commissioning and start-up of Canada’s first commercial SAGD and cogeneration facility in Fort McMurray, Alberta. He published his first book, Project Execution: A Practical Approach to Industrial and Commercial Project Management, in 2010. In 2012 /2013, he was the principal author of: Safety Management: A Comprehensive Approach to Developing a Sustainable System and Process Safety Management - Leveraging Networks and Communities of Practice for Continuous Improvement respectively. 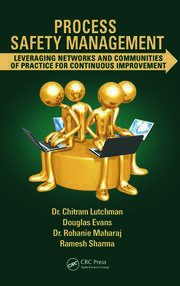 He is also the principal author of this book and has coordinated the contributions of his coauthors to provide readers with this practical package of knowledge, which can contribute significantly to improving the health and safety of all workers, including new graduates, safety professionals, and business leaders and contractors. Dr. Lutchman is also passionate about sharing knowledge in an organized way in the areas of HSSE, PSM, and management systems to ensure the health and safety of our most precious assets—people (in particular, Generation Y), while generating support for superior business performance for all stakeholders. Doug Evans is a graduate of Dalhousie University and the Technical University of Nova Scotia with BSc and chemical engineering degrees in 1974 and 1976, respectively. He established his working career in the oil industry with Texaco Canada in Montreal, Quebec. During his employment with Texaco, Imperial Oil, Petro-Canada, and now Suncor, he has had the opportunity to experience Canada’s cultural and geographic variety, with multiple work assignments in eastern and western Canada. Evans has held a variety of senior leadership roles in the areas of engineering, technology, strategic planning, supply, and operations management over his 38-year career. More recently, he was appointed general manager of technical services in Suncor’s corporate offices after the merger with Petro-Canada. This role involves providing a center of excellence in process engineering and operations controls to support safe, reliable, and low-cost operations at all of Suncor’s operating facilities and for enhanced business performance. His current focus is leveraging Suncor’s Technical Excellence Networks to capture and share knowledge and best practices and to generate continuous improvements in the business. He also has responsibility for stewarding process safety standards compliance and risk reduction across Suncor. Evans is currently a member of the AFPM Process Safety Workgroup, which is focused on enabling improved process safety performance in the North American refining industry. His passion for process safety management and risk reduction was also well utilized to drive deep organizational learnings across Petro-Canada as a result of the BP Texas City tragedy. His previous roles have included director of process technology and reliability for Petro-Canada’s Downstream refinery operations, director of business integration for Petro-Canada Downstream, operations director at the Petro-Canada Oakville refinery, area team manager of crude units and powerformer at Imperial’s Strathcona refinery, as well as technical services manager at Strathcona Refinery. Evans has managed large expense and capital budgets and has been responsible for safe and reliable operation of major refinery assets. What he enjoys most is working with talented and motivated people to achieve personal and business success. His reward is in supporting others to succeed. Waddah Ghanem is the chief EHSQ compliance officer for ENOC Group. He is the chairman of various committees within the organization, including the Wellness & Social Activities Program, which serves over 6000 employees. Ghanem is an environmental engineer who earned his degree from the University of Wales, College Cardiff. He began his career working as a consultant for Hyder Consulting Middle East and later transitioned into the first oil refinery in Dubai, UAE, ENOC Processing Company LLC (EPCL), during the construction and pre-commissioning phases. Ghanem holds a distinction level MSc in environmental science from the University of the UAE. He has obtained an executive MBA through Bradford University in the UK, in which he specialized in organizational safety behavior. With extensive hands-on and frontline experience, he has broad knowledge of environmental management systems and pollution control, fire and safety compliance and design reviews, development and administration of occupational health management systems, EHS management systems auditing, job safety task analysis, total quality management, and other HSE capabilities. His contribution to the EHS field includes more than 70 presentations and technical papers at various local, regional, and international conferences and forums. Ghanem has been a member of the Executive Committee of the Emirates Safety Group, and served as an advisor on the HCT Environmental Sciences Program Committee. He was a member of the Petroleum and Lube Specification Committee for the government of the UAE, and a member of the Demand Side Management Committee and HSE Committee at the Dubai Supreme Council of Energy. He is quite passionate about EHSQ issues, and his current doctoral research work with the Bradford School of Management, Bradford University, UK, is focused on operational corporate governance, EHS leadership, and compliance systems. He was also appointed in 2010 as the vice chairman of the Board of the Dubai Centre for Carbon Excellence (DCCE). Rohanie Maharaj is a PhD graduate in food science and technology from Université Laval in Canada. She has been employed at the University of Trinidad and Tobago (UTT) for the past 5 years as an associate professor in biosciences, agriculture, and food technologies (BAFT), and is the program leader for the BSc diploma and certificate programs in food technology. Dr. Maharaj is also trained in Six Sigma methodology and is a senior member of the American Society for Quality (ASQ) and the Institute of Food Technologists (IFT). She is a certified evaluator for the Accreditation Council of Trinidad and Tobago (ACTT), chair of the Food and Beverage Industry Development Committee (FBIDC), and currently serves on a number of internal UTT committees. She has more than 30 years of experience working in academia and industry, including 14 years in industry, with 12 of these spent at Johnson & Johnson leading quality and reliability. She was a regional director and member of the board of Johnson & Johnson Caribbean for 7 years. She has extensive industrial experience, having worked in various capacities, such as quality assurance/regulatory affairs director, process excellence director, operations director, compliance director, and quality assurance manager at Johnson & Johnson Caribbean facilities spanning Trinidad, Jamaica, Dominican Republic, and Puerto Rico. She received the Award of Excellence in 2005 at Johnson & Johnson for achieving exceptional business results. Dr. Maharaj was also instrumental in obtaining the ISO 14001 environmental certification for the Trinidad manufacturing facility in 2004. More recently, in 2013, she received the National Institute of Higher Education, Research, Science, and Technology (NIHERST) Award for Excellence in Science and Technology. "This book provides an impressive reference library of management system concepts, elements, and specific oil company examples in one place. The focus on leadership and accountability as the first fundamental is critically important to any management system. Without this, the rest of the system falls apart."